At least five police officers were shot while on duty in Houston on Monday. The group had been serving a narcotics warrant when the gunfire erupted. Two suspects were reportedly killed. 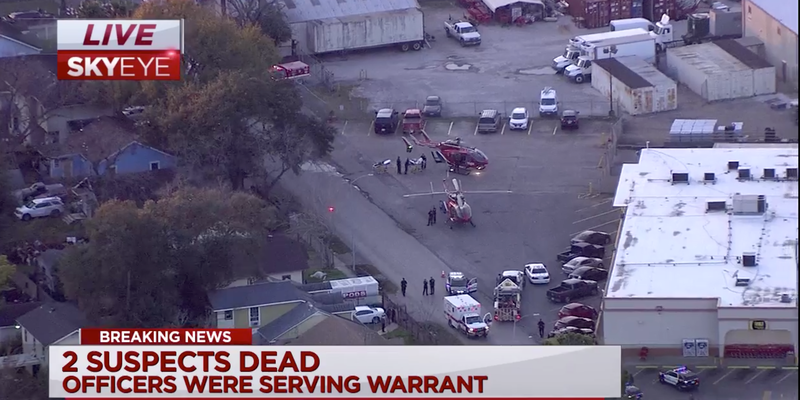 Multiple officers were shot as they were serving a narcotics warrant on Monday afternoon in southeast Houston, Texas, according to local news reports and Houston Police Department chief Art Acevedo. The officers were taken to the Memorial Hermann Hospital and Ben Taub Hospital to be treated, according to Houston Police Officers‘ Union president Joe Gamaldi and the Houston Police Department. One of the officers had to be airlifted to the hospital. Two suspects were killed in the incident, KTRK-TV reported. Police reportedly cordoned the surrounding area and are looking for a third suspect.